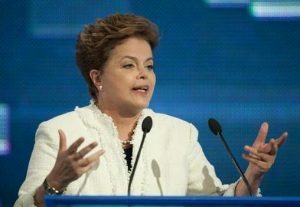 One of the biggest NSA critics in the international community has been Brazil’s President Dilma Rousseff. After the Snowden documents began to make headlines and it was revealed that the agency was spying on various international leaders, Rousseff proposed that any US company in control of data on Brazilian citizens should have to store that information on Brazilian servers. Rousseff’s proposal may have been dropped along the way, but Brazil has become the first country to enact a Bill of Rights for the internet. This sort of document is exactly what the web’s creator, Tim Berners-Lee, called for earlier this year. Limits have now been placed on the amount of metadata that companies can collect on Brazilian citizens, and in order to make sure that companies respect the country’s new set of laws, American businesses are subject to Brazilian law when a case involves citizens of that country. Along with protecting online privacy–this primarily deals with the NSA concerns–the law also protects net neutrality, which has become a major topic in the United States and Europe. Under Brazilian law, internet service providers (ISPs) can no longer charge more when a customer wants to access data-heavy services like video streaming websites. In theory, this would prevent the sort of deal that Netflix and Comcast have entered into. Internet services are not allowed to scan user data (emails and messages), but they are also required to storedata for six months in case law enforcement needs to place a request to gain access to it. The bill, titled the Marco Civil da Internet, was signed into law by Rousseff Wednesday. Prior to it being signed in, the laws won approval in the country’s Senate on Tuesday. Although it has not taken the stance that all user data must be protected and never released, Brazil’s laws now protect privacy until the point that law enforcement have a legitimate reason to see a person’s information. Summary: Brazil has enacted a new set of laws that will protect net neutrality and internet privacy. Limits are now set on the type and amount of data that companies can collect on Brazilian citizens.